LONDON — Niche, the social media talent agency recently bought by Twitter, has launched its first campaign in the UK for Doritos, the chip brand owned by PepsiCo. In February Twitter acquired Niche, a startup that launched in 2013, for a reported $30 million. The agency connects advertisers with popular figures on social media. The Doritos "#BoldAdvent" campaign sees the brand partner with Arron Crascall, a comedian and prankster well known with users of Vine, who shares his interpretation of what a ‘bold Christmas’ looks like. OMD UK handled the media for the campaign. Crascall will create four posts throughout December, which will be shared across Crascall’s and Doritos' accounts on Twitter, Facebook and Vine. 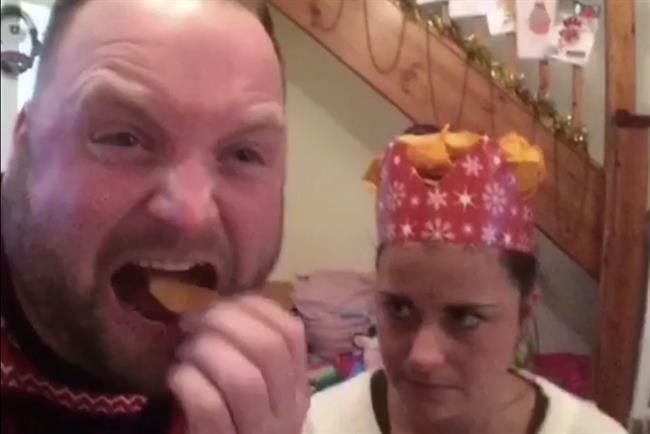 The first video, which launched this morning, is a bizarre eight-second affair in which Crascall says to the camera: "If you run out of bowls this Christmas, don't worry ... "
The comedian never finishes the sentence, but is then seen eating Doritos while hysterically laughing, accompanied by a woman who looks less than impressed. Niche says its technology allows content creators to monitor the performance of social campaigns at an in-depth level across all channels, which is seen as a key selling point to brands when creating integrated campaigns. According to, Andrew Hawkswell, Doritos brand manager at PepsiCo UK, "There is so much noise around this time of year so we needed to do something different to cut through and reach our audience. "By working with OMD UK to team up with Twitter, we think we’ve found the perfect ambassador in Arron Crascall, who will help people make the most of Christmas by being bold."